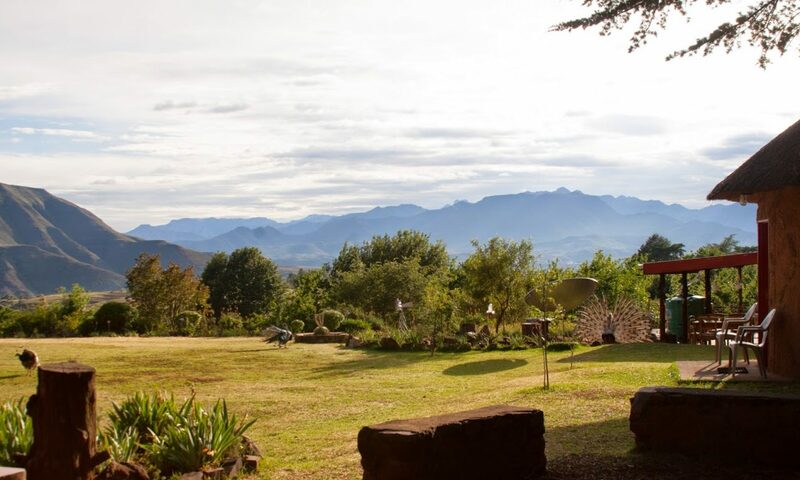 The rondavels and rooms are our nicest offerings, and can accommodate families comfortably. Here, you have the room to make a home away from home – spread out and unpack. 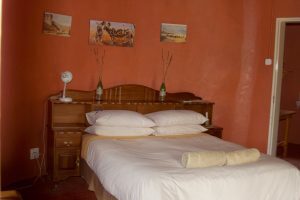 Each is decorated with charming scene paintings for your enjoyment, and each has a spacious and newly re-tiled bathroom with a standing shower. 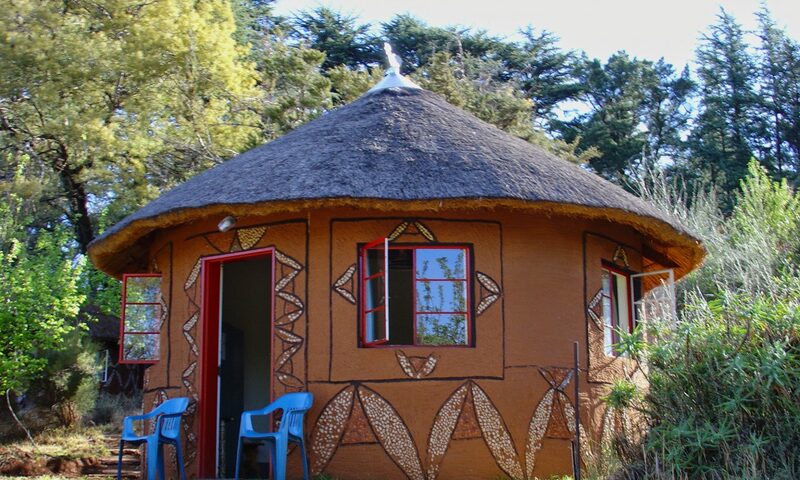 The rondavels are round in shape and covered with beautiful thatched roofs. 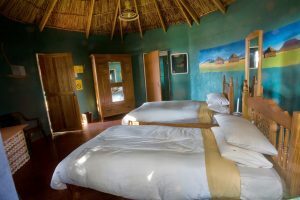 Each of our rondavels and rooms have unique interiors and we are flexible about arrangement. Let us know what your requirements are and we are happy to do our best to accommodate you. 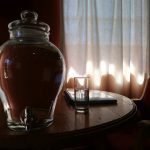 Our rondavels and en suite rooms all have four-liter containers of spring water for drinking and brushing your teeth. This water is refreshed every day. 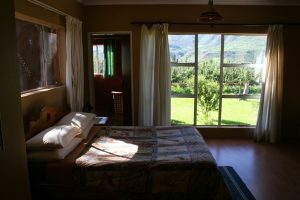 We charge R440 per person when multiple people will be staying in the room, and R660 for single guests. If you are interested, book your beautiful rondavel today! If this is not quite what you are looking for, please check out our other offerings.